Getting rid of your old PC or laptop can expose you to identity theft! Your discarded computer contains your personal information, company financials, R&D data, intellectual property and other information you do not want others to know. Many people do not know how to correctly erase hard drives before disposing or giving the computer away. Simply deleting your sensitive files or formatting the hard drive does not truly erase your files. 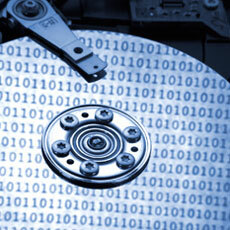 Contrary to popular belief, formatting a hard drive does not permanently erase your files. 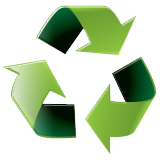 Your files are still recoverable using special software readily available on the Internet. How can you permanently and secuely erase your hard drive? The most recognized way to erase hard drive is to overwrite your entire hard drive with random information. Our method of hard drive data sanitization is approved by the U.S. Department of Defense and it is trusted by government agencies and major corporations. Because everything will be permanently and securely erased, it is important that you create a backup copy of all information you need to retain. Once your hard drive is sanitized and returned to you, you will no longer have access to the files it originally stored. Can I reuse a hard drive that has been sanitized? Yes you can. Once your hard drive is sanitized and returned to you, you can treat the hard drive as if it was newly purchased. You can install a copy of your favorite operating system onto it, use it as a backup drive or for any other data storage purposes. Most operating systems will re-create the necessary hard drive partition tables for you.